My first night back in Ebonshire. I have taken a cottage at the writers and artists colony, right next door to the spot where my old house was. My getaway. I spent so much time there. Of all of the places I’ve lived in my five years in this world, it is still my favorite. I suppose it should feel odd to be back in these parts, in a small place, under these circumstances but it does not. I feel at home. There is something about the north of Winterfell. I discovered it the first time I travelled to Ravens’ Reach. There are many wonderful places throughout this realm and there is much magic but it is most evident here in the north. Much has happened in the last few days. It was, I see now, the culmination of the events of the last several months. It has been quite a year in this world and in the other. When it began, I had no idea of the changes it would bring. If you had told me then that I’d be sitting where I am today, I would not have believed you. Most of it is good, I suppose. The big parts. It’s great, in fact. But because I had no idea it would happen, I had not thought about the impact it would have on other things. The little things. Important things, ‘little’ does a disservice to them. Very important. The big stuff is life-changing in the big picture. The little things are the “accoutrements” of life. You could live without them, yes, but why? Because they can be eliminated or replaced they are considered by some as unimportant. I feel sorry for those people. It is the so-called little things that make life what it is. Look, if all the big things in your life, all the important stuff, is good – as important and wonderful as that is – your life is still not full. It is the little things that make it so. And if you have not been dealt a good hand in life, the little things – the good ones – can lift you up, bring you joy, make your life worth living. So, we have established that the little things are important too. Those are things I need to reassess now. My time, my activities in this world for example. So there have been some big changes. The Duke has left the estate, the Ambassador has stepped down. I am simply Mr. Whitfield, living in the north of a magical land that I love so well. A better place has not been discovered, to figure it all out. I have an alt whose bio claims he is The Official Griefer of Winterfell Evergreen and His Grace, The Duke of Evergreen. His name is Wanko Dickfield. I wrote about him in a previous article. I couldn’t use wankodickfield as my login. Wanko is the Court Jester of Evergreen so I gave him the login name, jesterevergreen. This led to the following conversation with a friend. She will not be named here in order that she remain a friend. I write about the Whitfield family here. You have met some of my relatives previously on these pages. If you have paid very close attention – and why would you, really? – you might notice a connection. The Whitfields are named: Danko, Hudson, Manuel, Robertson aka Robbie and Levon. Ring any bells? There is another I have not written about yet – Dylan. And then there is the one female Whitfield who has appeared here. It is a different type of connection. Here name is: Annie, short for Annalee. There is one other connection of that type, Chester. The family calls him Crazy Chester. A further clue to what is going on here is found in the profiles of each of those named. Several of them are time-travellers but that is not it. They all have something else in common. I know there is at least one regular reader here who ‘gets’ this. 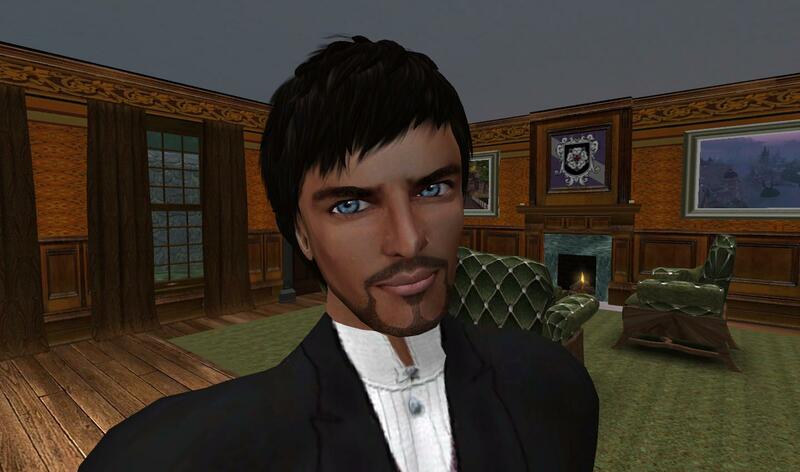 I have explained it to a few other people inworld over the past year, though no one was overly impressed. However if you send me a Comment here or a Notecard inworld indentifying what I’m talking about in the previous paragraph, I will be quite impressed with you.